NINE Australians involved in the Thai cave rescue will receive medals from Governor-General Sir Peter Cosgrove to honour their efforts. Those to be acknowledged at a ceremony today include Dr Richard 'Harry' Harris, Craig Challen and Chief Petty Officer Troy Eather. The medals will be presented at a special thank you reception at Government House in Canberra, also involving Prime Minister Malcolm Turnbull and Opposition Leader Bill Shorten. Dr Richard Harris with his dive partner, West Australian vet Craig Challen. Picture: Facebook/Blue Label Diving. It will be the first time the rescuers have been reunited since returning to Australia on July 13. Mr Turnbull has previously described the effort to rescue 12 boys and their 25-year-old soccer coach as one of the most extraordinary acts of heroism, professionalism, discipline and teamwork. 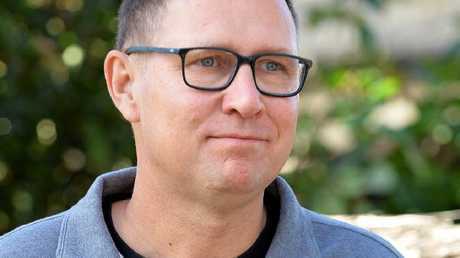 Adelaide anaesthetist Dr Harris and his dive partner, retired Perth vet Mr Challen, were among an international team of cave-diving experts who freed the boys and their soccer coach. The "Wild Boars" soccer team and a Thai Navy SEAL (right) following their rescue. Picture: Linh Pham/Getty Images. Also heavily involved was Chief Petty Officer Eather, a Royal Australian Navy clearance diving team specialist liaison officer. Thailand's ambassador to Australia, Australia's ambassador to Thailand, the acting Chief of the Defence Force, the acting Australian Federal Police Commissioner and other senior government representatives will be attending. The names of the AFP medal recipients are being withheld until the ceremony. Twelve members of the Wild Boars team, aged 11 to 17, and their 25-year-old assistant coach entered the Tham Luang Nang Non cave on 23 June after finishing football practice. Shortly afterwards, heavy rains partially flooded the cave, trapping the group inside. 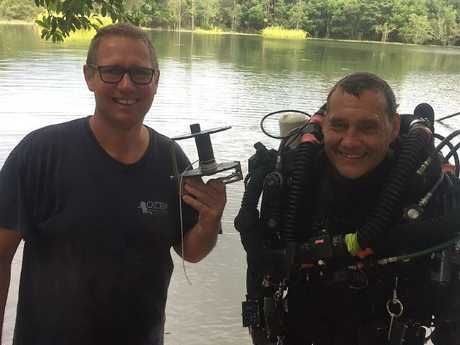 On July 2, British divers John Volanthen and Richard Stanton found the group alive on an elevated rock about 4km from the cave mouth sparking an international rescue effort. Mr Volanthen has previously said that Australia's Dr Harris had a great rapport with the boys that helped in getting them out. His Aussie accent also intrigued the boys while trapped underground, which they found "relaxing and reassuring". When asked what he said to the boys before bringing them out, he replied: "Dr Harry, the Australian doctor, he's very good, he's got a very good bedside manner, he's got a very bouncy Australian accent, and they seemed to find that quite relaxing and reassuring." Dr. Richard “Harry” Harris who helped rescue the trapped soccer team in a Thai cave swill received a medal for his heroic efforts. Picture: Greg Higgs. Dr Harris and his diving partner said the rescue of 12 boys and their soccer coach was almost beyond their imagination. They thanked the soccer team for "placing their trust" in them to get out safely. 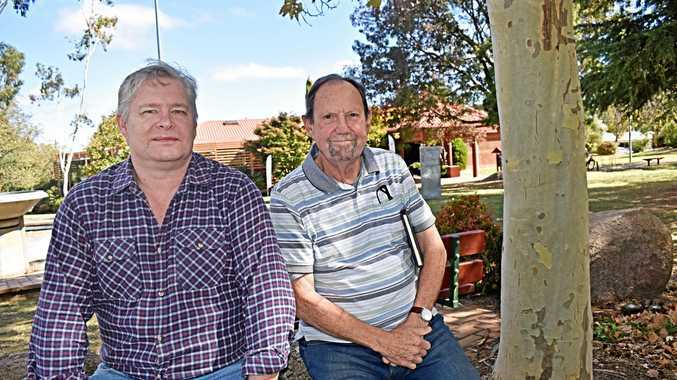 Dr Harris and Mr Challen were about to go on a holiday to the Nullarbor together when their plans changed. They went to Thailand within an hour of being called to assist.